After eating a mouthwatering lunch at Yip Hong, a famous Chinese Restaurant in this side of the world, we decided to go to Superstore to buy weekly food supplies. With my nephew in tow, I was grinning while pushing the cart when I saw a Chinese lady looking and smiling at me. Lady: Hi! Are you from Huangzhong? Me: No. Do I look like a Chinese? I just smiled and then we went separate ways. I still have that smirk on my face when I turned to my nephew, James. Me: Do I look like a Chinese? James: No. You look like a Canadian. That did it. I can’t stop laughing while pushing the cart. Merci Beaucoup James! You’re such a sweetheart. One last note, it’s really strange because I got that all the time…wherever I go, whoever I meet. Ha! I’ve been asked if I’m a Dutch, French, Latin American, Indonesian, Malaysian, Singaporean, Thai, and Chinese. 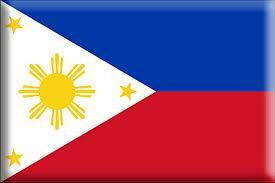 I am proud to be a Filipino also but for some reason i had to change my citizenship… eh? hmmm… i’m also perplexed why people of different nationalities think that I’m one of them. ha! Chinese? cuteness batch! hinde ka naman singkit for me. hehehe… maybe because she saw you ate at the Chinese restaurant?